Low AMOC events in 2009-10 and 2010-11 coincided with cold winters in Europe and suggest a previously unsuspected role for the AMOC in climate variability. Understanding this requires a longer time series of observations, so the array will continue until 2020. AMOC predictions: how skilled are they? RAPID Challenge blog. After preliminary analysis of data from the array, the winners have now been found. 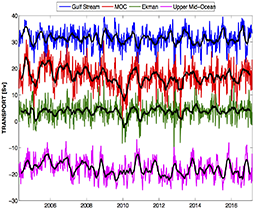 What does it take to collect a 10 year time series of the AMOC? To find out take a look at the 10 years of RAPID blog from the 26°N team. 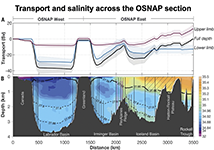 OSNAP is a 5-year international program to monitor the AMOC in subpolar North Atlantic. 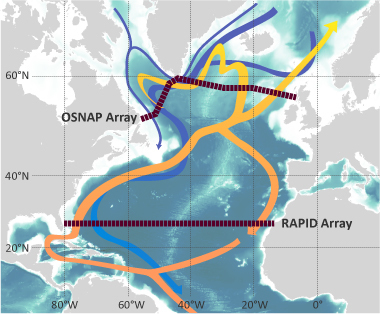 The OSNAP observing system has two legs: one from southern Labrador to the tip of Greenland across the mouth of the Labrador Sea (OSNAP West), and the second from the tip of Greenland to Scotland (OSNAP East). OSNAP complements RAPID to give a more complete picture of Atlantic overturning. 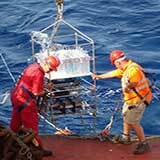 OSNAP also uses subsurface floats to trace the pathways of overflow waters from the Nordic seas, and study currents crossing the OSNAP line. 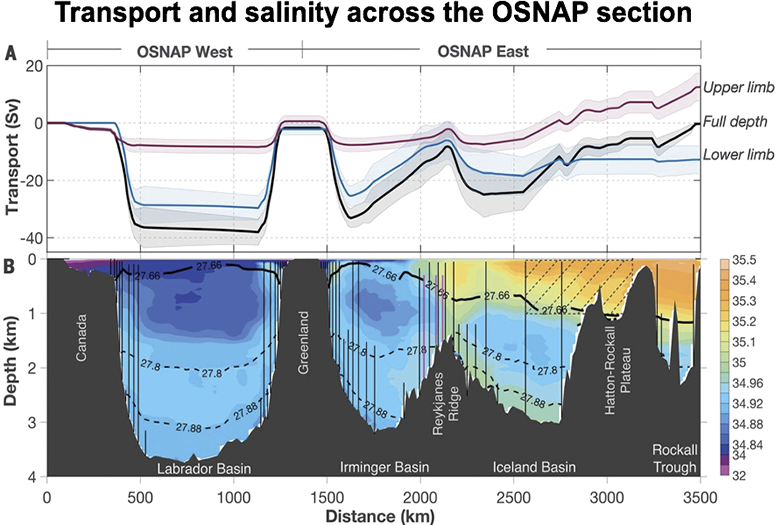 Lozier et al (2019): A sea change in our view of overturning in the subpolar North Atlantic. DOI: 10.1126/science.aau6592. RAPID-WATCH (2008-2014) continued the RAPID arrays and model studies. 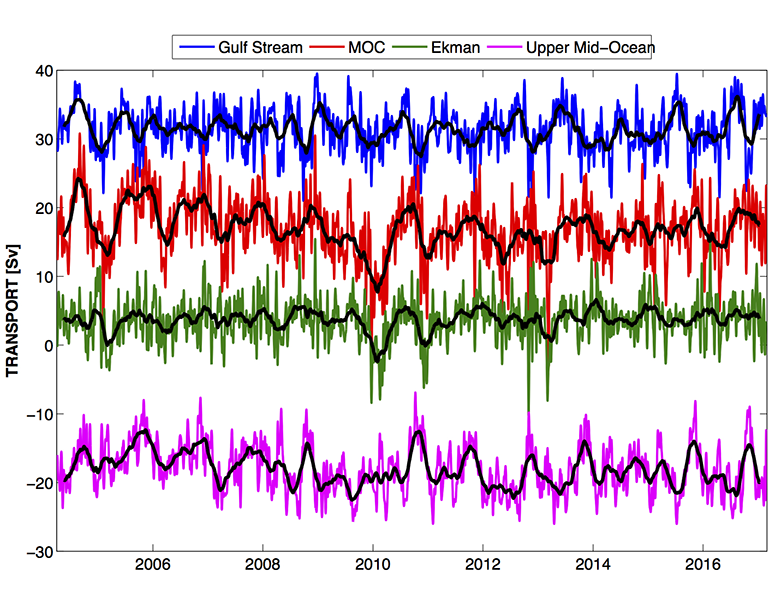 Ten-day (colours) and three month low-pass (black) timeseries of Florida Straits transport (blue), Ekman transport (black), upper mid-ocean transport (magenta), and overturning transport (red) for the period 2nd April 2004 to February 2017. Florida Straits transport is based on electromagnetic cable measurements; Ekman transport is based on ERA winds. 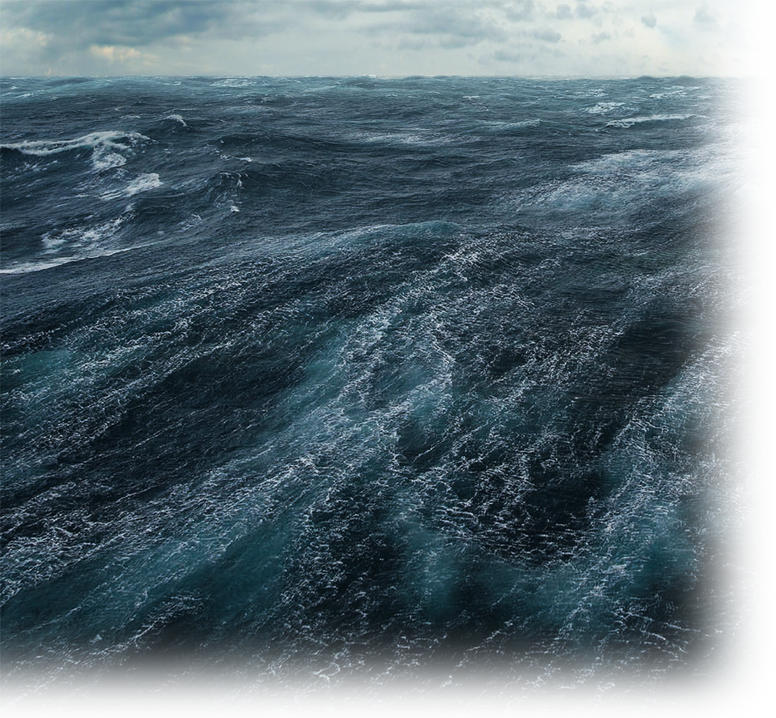 The upper mid-ocean transport, based on the RAPID time series, is the vertical integral of the transport per unit depth down to the deepest northward velocity (~1100 m) on each day. 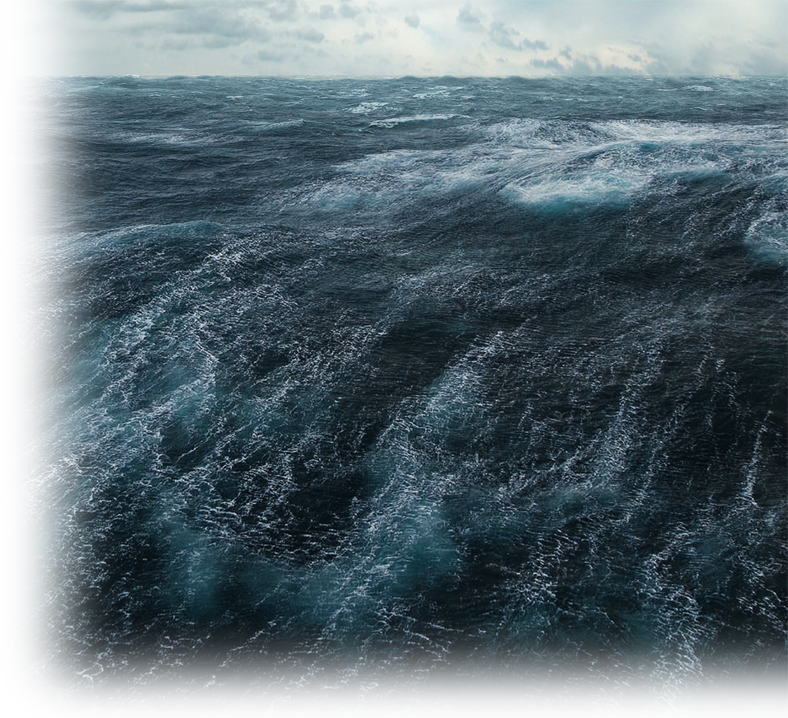 Overturning transport is then the sum of the Florida Straits, Ekman, and upper mid-ocean transports and represents the maximum northward transport of upper-layer waters on each day. Positive transports correspond to northward flow.